Peet's Coffee and Tea recently completed a study of 300 shoppers who made purchases online. 92% of the treemap users said ordering was easy and they had a good overall online shopping experience, versus 12% who used the list interface. Someone had a fine idea to fit all these coffees, color coded, instead of the usual list. Well done. Fantastic idea...as close to a taste test as you can get! Thanks! Guys, outstanding addition to your site. Found the selector to be an ideal and friendly tool. Eventually, I hope to try each category. Thanks! Bravo! What an attractive, engaging and informative approach to presenting information - E. Tufte would heartily approve! 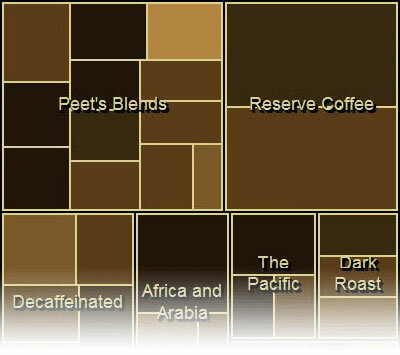 Thanks from a (list-overloaded) Peet's fan. For more information about the usability study please contact us. 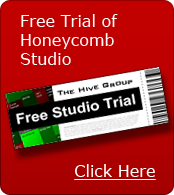 Copyright © 2015 The Hive Group. All rights reserved.